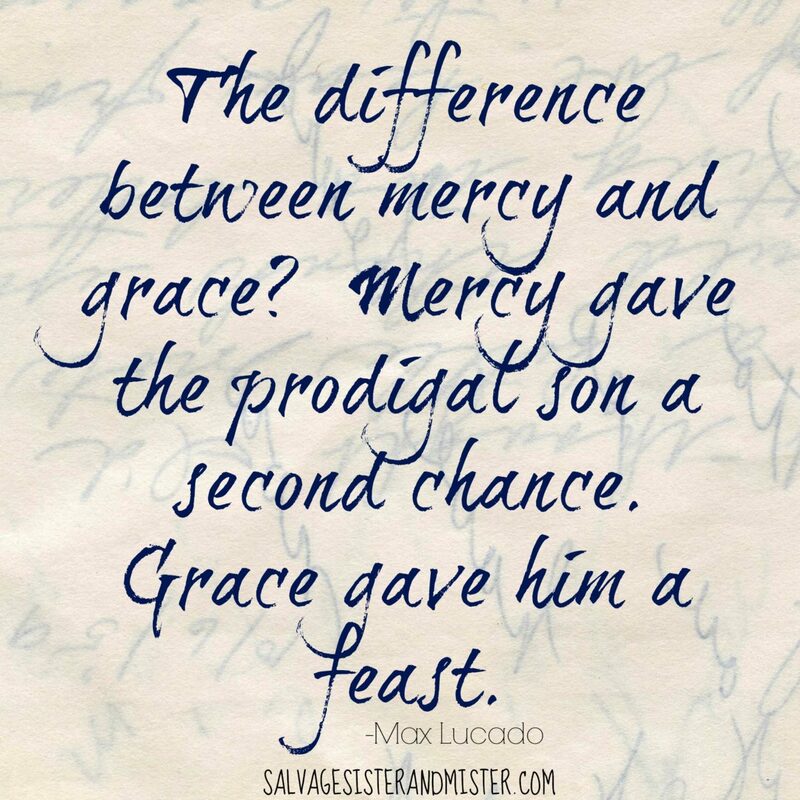 – Gordan MacDonald as stated in Philip Yancey’s What ‘s So Amazing About Grace? It’s been a challenging, and fulfilling, road in a lot of ways. The recent challenge was when our 15 year old got into some trouble and decided that running away would be the answer to his problems. Obviously, it’s a nightmare not knowing where your child is; wondering if they are safe. Thankfully, he willing returned to school 24 hours later, looking tired and worn out. The school contacted us to see what we wanted to do. Do we want to pick him up now or wait until after school? 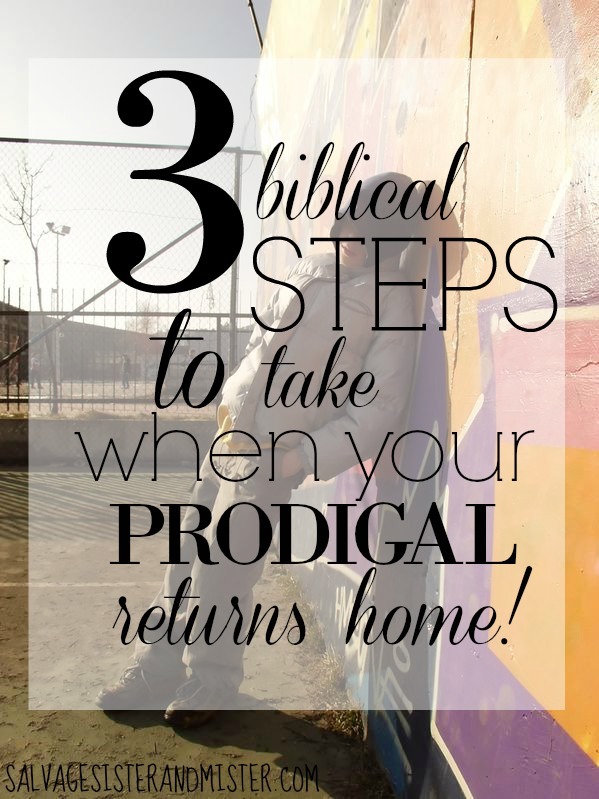 WHAT TO DO WHEN A PRODIGAL RETURNS? After The Mister and I talked about it, we decided that we would give him a little time to deal with issues he had there and go see him at lunch. We also didn’t want to scare him off. When we went to see him, we all embraced. What’s interesting about this passage is, the only thing the son did was come home. He hadn’t made his confession or any promises yet. The father just wanted to see his son was alive and well. In the parable (story), the son then confesses to his dad and yet the father doesn’t talk about what he should have done, what the rules will be in the future, or any of the heartache he experienced. Our son loves Taco Bell. L-O-V-E-S it! We decided this would be the “fatted calf” moment …we would take him his favorite meal. Of course, there is a little nagging in the back of your mind that wonders if you are rewarding this negative behavior. But the realities are…would a kid go and runaway for fast food? Probably not. Running away is generally a decision made in fear. But in either case, we decided to try and follow the principles laid out in this parable – as this is how our Heavenly Father shows us love. The next part of the story/parable must deal with the new rules, where he can and can’t go, and /or how the son never disobeyed again. Not even close. Actually it deals with the other son who has bitterness in his heart celebrating his brother’s disobedience and not his own loyalty to his father. Embrace and be filled with compassion. Encourage other family members to show love and not hold onto bitterness. WE ARE REJOICING; OUR SON WAS LOST AND IS NOW FOUND! May the grace you show in your difficult situation be a beacon fir others. I just loved reading this. 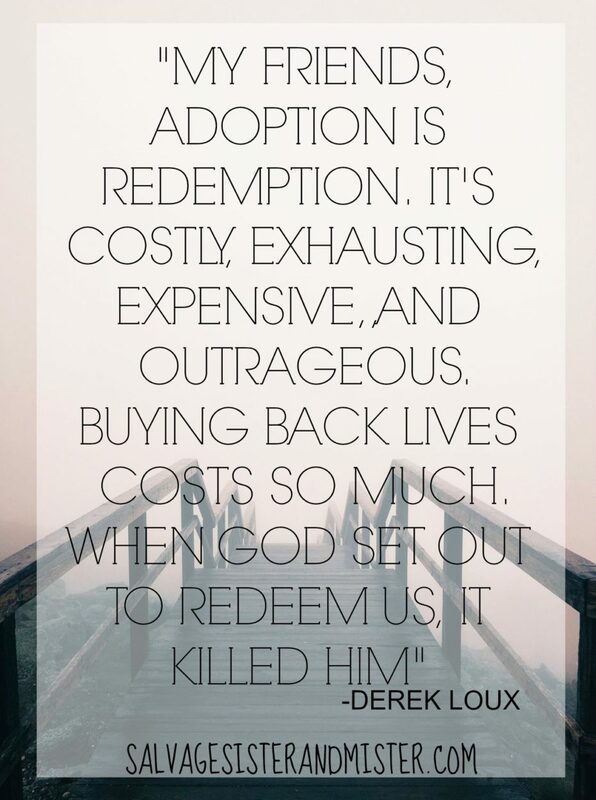 What a beautiful portrayal of our Father’s love so lavishly given to us. Thanks for sharing your painful story bc there is so much beauty in it! I know He is doing a great work in you all. So glad he’s come! Yuni, I so appreciate you stopping by to read it. Many blessings to you my friend! Hey ladybug! I loved this! Especially that you used bible principles to help you make wise and loving decisions in a very emotional situation. That’s so very hard to do! You’re great parents!! Marianne, You are so sweet! God gave us some strength on this one. Wish we always listened to His guidance. 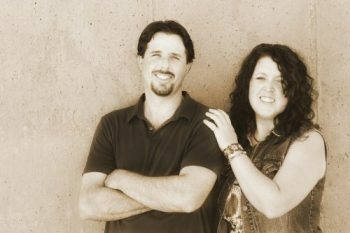 When I was working for CPS and later for the adoption agency, it was always difficult trying to adequately prepare potential foster and adoptive parents for the journey they were about to take. It wasn’t fair to present it as a piece of cake (“These are just kids who need to be loved.”). We had to balance the truth (This may take everything you have within you) without scaring them off. It is a depth of commitment that I believe only God can breathe into you. You two may have been some of the primary people Jesus had in mind when he told that parable. Thank you for loving your son with all your heart. Wanda, You have always been so kind and supportive to our family. We can’t thank you enough!!!!!!!! So glad he made it back safely! I have two nephews who were adopted out of foster care at 8 and 12. They were both born addicted to meth, RAD, ADHD, one had fetal-alcohol syndrome, learning disabilities … the oldest one was constantly in trouble and ended up spending his senior year in a boys home. The youngest struggled, but not as dramatically. When he was 15, and seemingly stable, he ran away while I was watching him and his parents were out of town. They are now 17 and 21. The oldest is in the Army, and the youngest is working 2 jobs to save for college. I am so incredibly proud of them, and amazed that they have “normal” lives after what they came from. Thank you so much for sharing this. That is so hopeful for us to hear! That’s so weird. I had a reply to this and now it’s gone. So sorry! Anyways, thanks so much for the hopeful comment you left. It’s just what I needed to hear! I love this post. I never thought about applying that parable to parenting, but I totally see it now. I have my own wayward son. He hasn’t runaway – but he has considered it. And you are absolutely right, we talk less about rules and more about how much he is loved. Because we want him to know that we are his safe place and that he is loved by us and Jesus no matter what. Heather, thank you for sharing your story! Your words are so true. It’s tough but we just keep loving them.